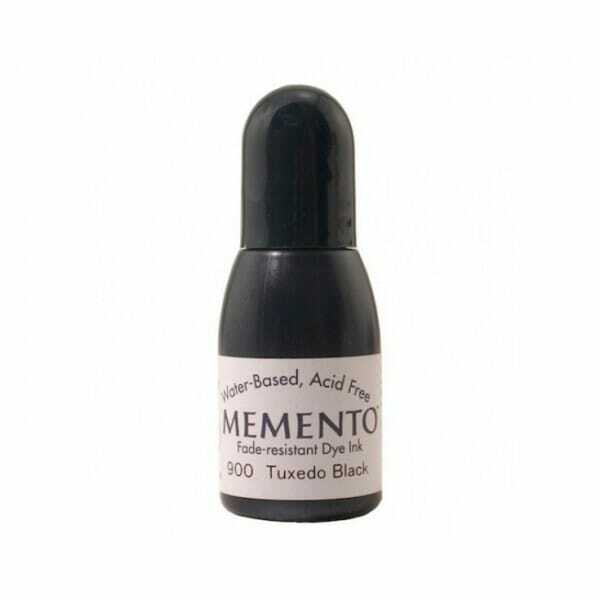 15ml or 05 fl oz re-inker bottle for Memento ink pads (pads not included). For resist effects, apply ink directly onto the Ink Sweeper. Stamp an image with VersaMark Ink on coated paper, allow to dry and sweep the ink over the clear image. Customer evaluation for "Tsukineko - Tuxedo Black Memento Re-inker"